Check out This !!!! Yeah it is a Typhoon. These were a limited production by GM and were only made for 3 years. They have a 4.3 V6 with a Turbo and are All Wheel Drive. This Typhoon is Fast. Now, is you chance to own a piece of GM History. Call or stop in and Check this out in Person. 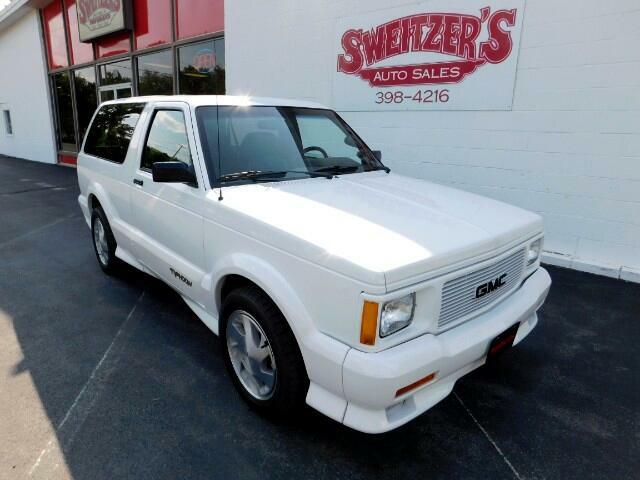 Message: Thought you might be interested in this 1993 GMC Typhoon.